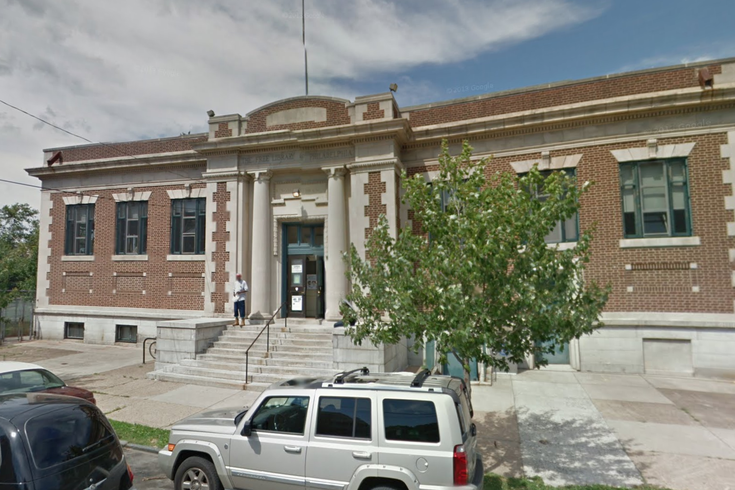 The Kingsessing branch of the Free Library of Philadelphia. A Philadelphia teacher who runs the student chess club at a Southwest Philly elementary school won $10,000 on Tuesday morning’s "Today" show. Jason Bui, who teaches science and math at the S. Weir Mitchell Elementary School in Southwest Philly’s Kingsessing neighborhood, was nominated for the show’s contest, which was looking for community “all-stars,” by his sister who lives in Lancaster, Pennsylvania. When Bui and his sister showed up to the "Today" show set on Tuesday, Bui was under the impression he was just one of a field of contestants in the running for the $10,000 award. Instead, Bui wasn’t just a contestant in the show’s contest: He was the winner. The chess club — which is named Minor Threats, after the early-80s hard-core punk band Minor Threat — meets once a week at the Kingsessing branch of the Free Library of Philadelphia. Just this past week, the girls who play for Minor Threats traveled to Washington, D.C., to compete in the Chess Girls Mid-Atlantic Regional tournament. Interestingly, Bui said during the show that he didn’t start playing chess until he was an adult and only started getting deep into the game when he began teaching chess to the students.